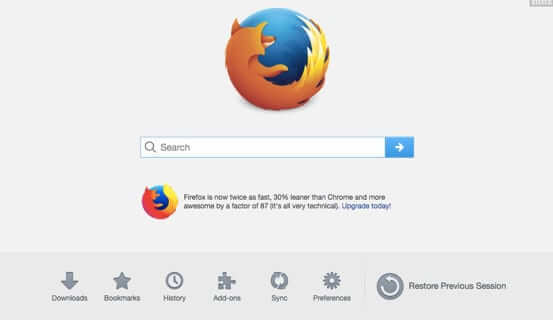 Did you accidentally reset your Firefox browser and so, you think, lost the opportunity, after closing and reopening Firefox, to recover tabs or windows or pages you had open in Firefox before you closed it? 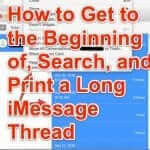 This most often happens when you close Firefox, planning to reopen it and restore tabs and windows, but before you get a chance to do that you click on a link in an email or text message, and suddenly Firefox reopens to that link. Now the above is what you usually see if you close Firefox (or if it closes itself on you) and then click on the Firefox icon to reopen Firefox. But what happens if, after you close Firefox (or it closes), and before you get a chance to intentionally reopen it, you click on a link in an email or a message, and accidentally cause Firefox to open and load the link that you clicked? In our experience this most often happens when you get an email or message with a link in it and you just click on it without thinking. For example, Firefox is closed, and you get an email from Amazon with a link in it to track a package. Ruh roh! 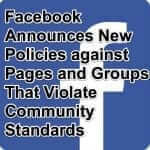 No ‘restore’ option! 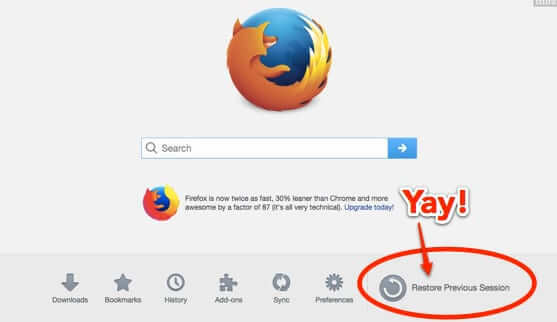 So then you open a new tab, hoping to see the Firefox start page with the restore option, but no such luck. 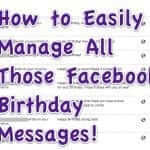 But, guess what! There really is still a restore option, it’s just hidden away. The secret to restoring tabs, pages or windows after closing Firefox and not having the Firefox Start page with the restore option is in the Firefox History dropdown. 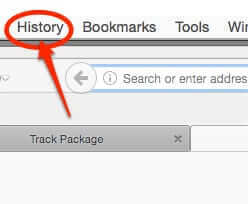 When you click on ‘History’, you will see, in the dropdown, ‘Restore Previous Session’. When you click on ‘Restore Previous Session’…voila! 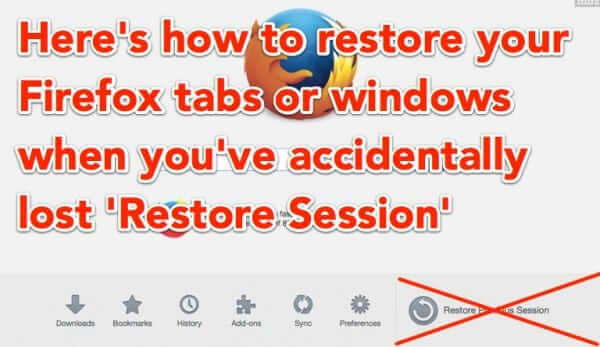 You will get a new tab with the Restore Previous Session option..er…restored. 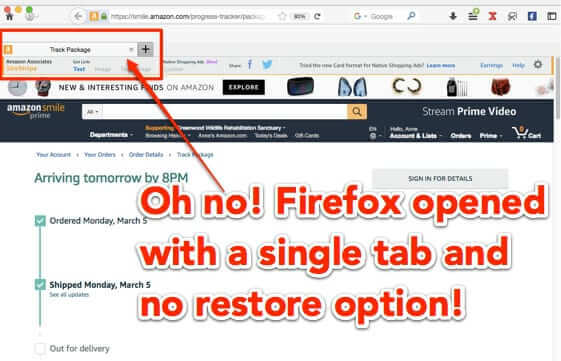 Did you accidentally reset your Firefox browser and so, you think, lost the opportunity, after closing and reopening Firefox, to recover tabs or windows or pages you had open in Firefox before you closed it? 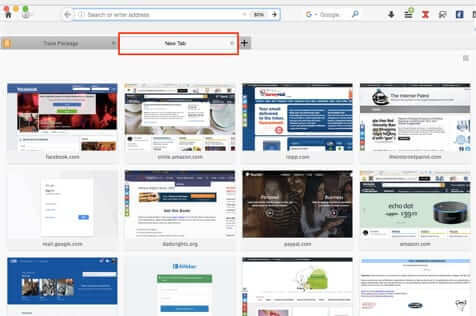 This most often happens when you close Firefox, planning to reopen it and restore tabs and windows, but before you get a chance to do that you click on a link in an email or text message, and suddenly Firefox reopens to that link.